PURPOSE: To enhance educational opportunities for the people of Tucker County. DISTRIBUTION: A grant to a teacher in grades K-12 to be used for a project designed to promote learning in the specific areas of geography; and, in alternate years, a scholarship to a student residing in Tucker County who plans to major in either business administration or the teaching of geography. Selection of recipients of these grants and awards is to be made by the Scholarship Committee in consultation with school personnel such as teachers, counselors, principals, etc. In the event that no recipient is selected in a given year, the amount is to be added to the principal of the fund. Note: Upon the expressed wishes of the family, and upon approval by the board of Directors, grant distribution was broadened Sept. 13, 1993, in order to include non-traditional students who are residents of Tucker County, but who have already graduated from any high school, and are attending college. 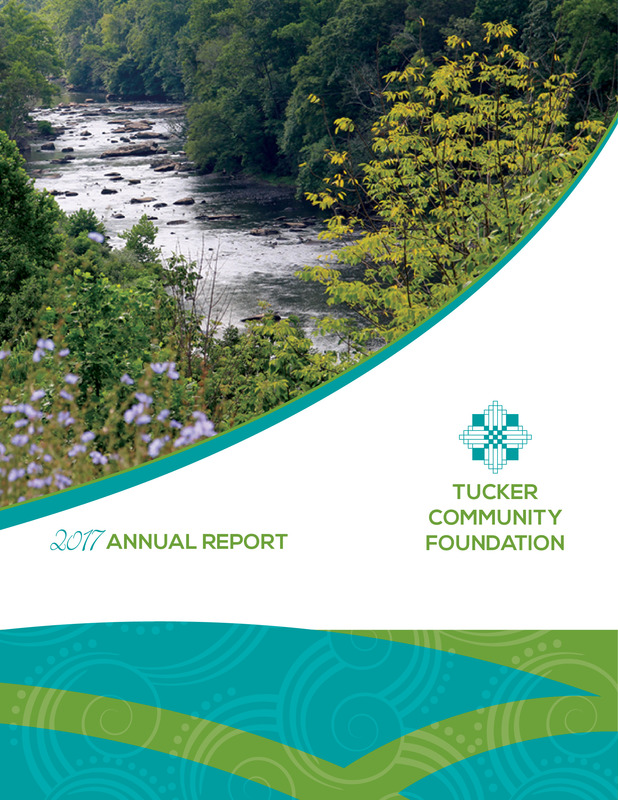 Upon the recommendation of the Grants and/or Scholarship Committee and approval by the full board of directors for Tucker Community Foundation. FUNDING: A memorial gift from George W. Walburn of Hannahsville, Tucker County, in memory of his sister Marjorie Harriet Walburn (1914-1982). With the blessing of the Walburn family, on March 12, 1997, the TCF board of Directors re-named the Memorial Fund to include the name of the donor; George W. Walburn. Mr. Walburn was a charter member of TCF. He had been an officer of the Foundation, serving as Vice President at the time of his death. Mr. Walburn attended meetings faithfully and served on numerous committees, giving generously of his time and financial recourses. BACKGROUND: Marjorie Harriet Walburn was born Aug. 5, 1914, in Cumberland, Maryland. She was a 1930 graduate of Pennsylvania Avenue High School, specializing in stenography, typewriting, and bookkeeping and also completed various college courses in accounting, business management and personnel supervision. Initially she was employed in the Allegany County, MD Board of Education office as secretary to the superintendent. In succession, she was then employed at Carnegie Institute in Washington, D.C. as assistant to President Haskins, until her retirement in 1977. She was a member of the Pennsylvania German society, the National Genealogical Society, the Daughters of the American Revolution, the Business and Professional Women’s Clubs of Cumberland, MD and Washington, DC and Trinity Evangelical Congregation of Cumberland. Miss Walburn died in February 1982 of cancer. George William Walburn was born 1911 in Cumberland, MD. He died Dec. 26, 1996 in a vehicular accident near Frostburg, MD on his return trip to Tucker County after having spent the Christmas holidays with his family. He was survived by his wife, Mary Benson Walburn whom he married in 1941; three sons, George William Walburn III and Charles Benson Walburn of the Baltimore area and David Glenn Walburn of Salisbury, MD; two brothers, James and Roy and a sister, Mrs. Charles (Anna) Smith, all of Cumberland; seven grandchildren and one great-grandchild. He was preceded in death by his sister Marjorie (see above) and one brother, Norman Walburn of Cambridge, NE. Mr. Walburn graduated from Frostburg State University in Maryland, and received his master’s degree from Columbia University in New York City. He served in the Maryland National Guard in Cumberland, served actively in the U.S. Army overseas during WWII, and continued his service in the Maryland National Guard, Fifth Regiment Armory in Baltimore. He retired from the National Guard in the 1970’s as a lieutenant colonel. He also retired from the Baltimore County Public Schools where he had served as a teacher and administrator since 1938. At his retirement in 1978 he was assistant principal of Woodlawn Senior High School. After retiring, Mr. Walburn established a second home in Tucker County where he became active in numerous groups and organizations. Known in Tucker County as the official Uncle Sam, Mr. Walburn wore a red, white and blue costume complete with top hat and tails and appeared at annual Forth of July functions, including the Tucker Community Endowment Foundation annual Uncle Sam’s Birthday Party fundraiser, for nearly a decade. He was a charter member and a member of the board of directors of the Tucker Community Chorus; a charter member, and vice president of Tucker Community Endowment Foundation; a secretary of Tucker County Planning Commission; member of Tucker County Rotary club; a former member and officer of Parsons Kiwanis club; a former member of Tucker county Development Authority; 1981-86 member of Tucker County Board of Education; the first male member and very active committee chair of River City Garden Club; an active member of Tucker County Literacy Volunteers; president of Tucker County Cancer Society; member, Tucker County Chamber of Commerce and Tucker County Arts Council; past president, St. George Medical Clinic Board of Directors; frequent donor of books to Five Rivers Public Library, Parson; and a weekly visitor of may residents of Cortland Acres Nursing Home, Thomas, WV. His funeral service and burial were held at Rocky Gap Veteran’ Cemetery, near Cumberland.